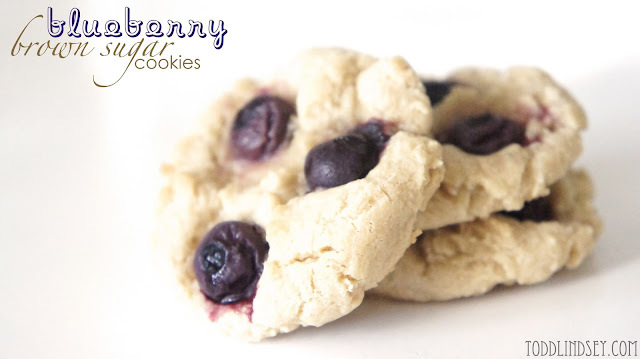 You are probably thinking, "Blueberries- In a cookie?! What craziness is this?!" but trust me, this is a perfect combination! 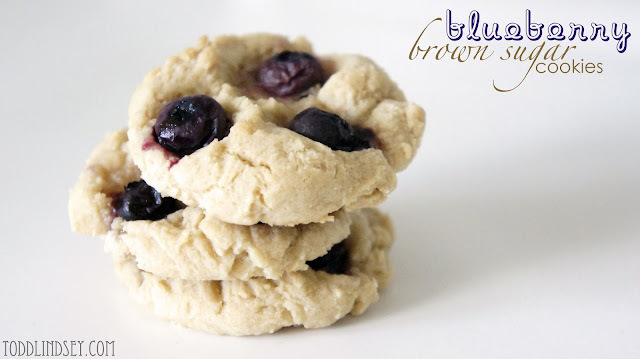 The blueberries add just the right amount of tart sweetness to the sugary sweet flavor of the brown sugar cookies. And when Todd says that an unusual combination is yummy, then they have to be good! Add the brown sugar, sugar, egg and vanilla and mix with an electric mixer until well blended. In a separate bowl, whisk the flour, baking powder, baking soda and salt until evenly combined. Pour half the flour mixture into the wet mixture and beat on low speed until just combined. Add the remaining half of the flour mixture and beat until just combined. Fold in the blueberries with a rubber spatula, being careful to not smash the fruit. Using a medium cookie scoop, drop dough 2 inches apart on a cookie sheet. These cookies look delicious! Loving all of your confectionary creations. I'm a fellow baker as well, looking forward to checking out more of your recipes. Your cookies look delicious. 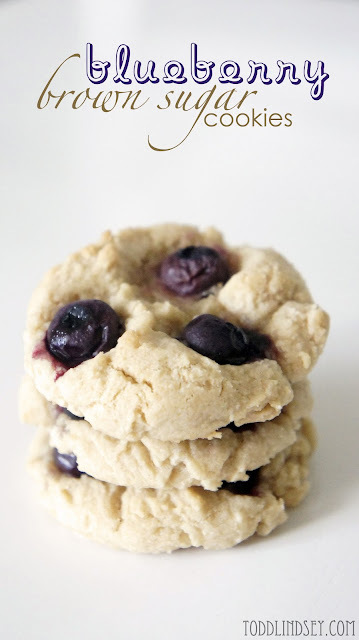 I love that you've place the blueberries on top instead of mixing them into the dough. I found your blog post on The Best Recipes. Your photos look incredible, Lindsey. I could easily adapt this GF...anything blueberry in my book is a keeper. We featured you today at Our Sunday Best features round-up and have pinned your to our collaborative board! I am actually eating blueberries right this minute! They would probably be even better in a cookie! These look great! I've included them in my favorites from last week's Project Inspired linky party.